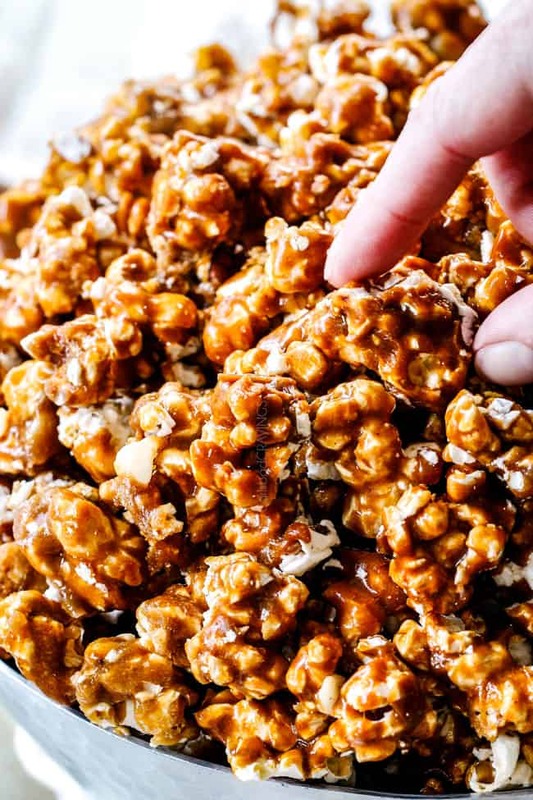 Homemade Caramel Popcorn that is buttery, rich, salty, sweet, crispy and better than any store-bought caramel corn at a fraction of the price! This Caramel Popcorn is out of this world! It is shockingly easy, made with a handful of pantry ingredients and doesn’t even require a candy thermometer! It’s crunchy, deeply caramelized, and you have the option of adding nuts or drizzles of chocolate. 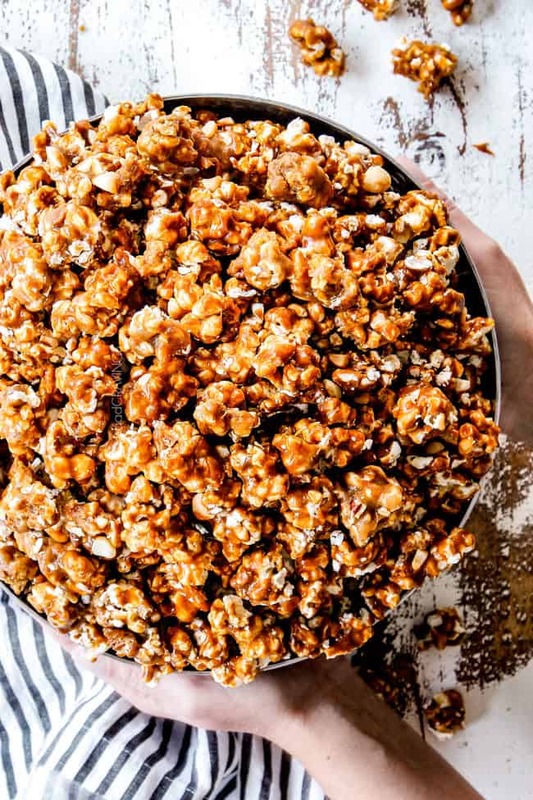 The addictive sweet and salty Caramel Corn makes a ton for movie night, parties or gifts and is fabulous to make ahead or in bulk. This Caramel Popcorn is spectacularly delicious and not meant for compulsive eaters because It is utterly addictive. I was worried I wouldn’t have any Caramel Popcorn left to photograph because I couldn’t keep my hands off it! I wanted to share this recipe in in time for Christmas because it is always a holiday favorite of children, teenagers, adults and grandparents alike. I make Christmas plates each year for friends and neighbors, and almost all of the desserts are non-cookies because they are so much easier to make in mass quantities. 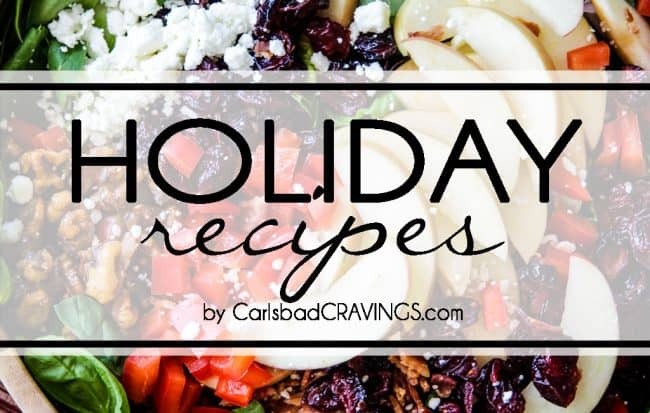 Some of my favorites include Crockpot Peanut Clusters, Snickerdoodle Bars, Turtle Brownies, Gingerbread Brownies, Cookie Dough Cheesecake Bars, and Marcia’s Famous Toffee. But you know what is even easier?! Individual bags of homemade Caramel Popcorn! I think a new tradition starts this year! This Caramel Popcorn recipe is slightly adapted from allrecipes.com. Their Caramel Popcorn Recipe has a 4.8 rating with over 1,000 reviews, all raving about the recipe. 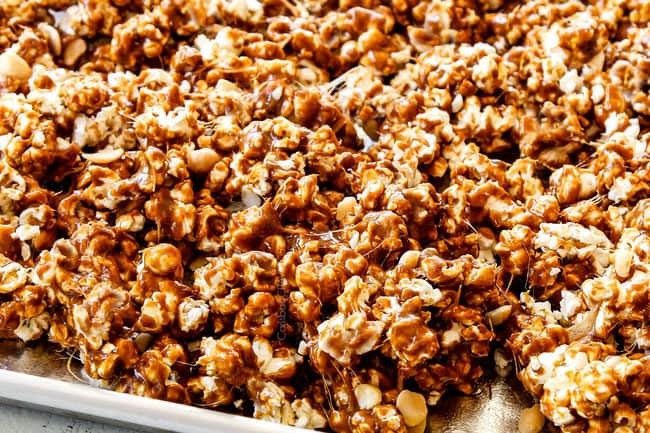 I’ve taken the readers tips and tricks and come up with this tried-and-true Caramel Corn recipe so it’s the best of the best. 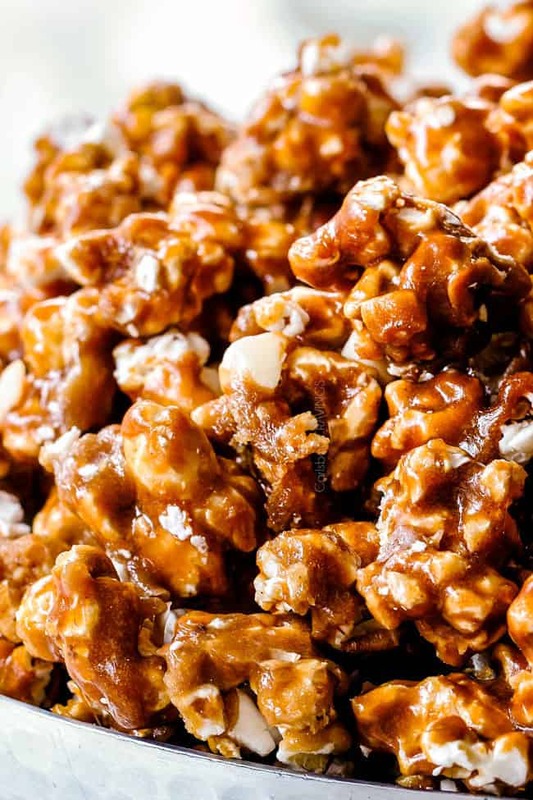 This Caramel Popcorn (Or Caramel Corn) is a simple two step process. First, make a simple caramel sauce by boiling butter, brown sugar and corn syrup over the stove and pouring over your popcorn. Second, you bake the popcorn so it’s wonderfully crunchy and not the wet, sticky stuff. If you prefer chewier Caramel Popcorn, then you can simply bake the popcorn for a shorter amount of time – whatever your heart desires! 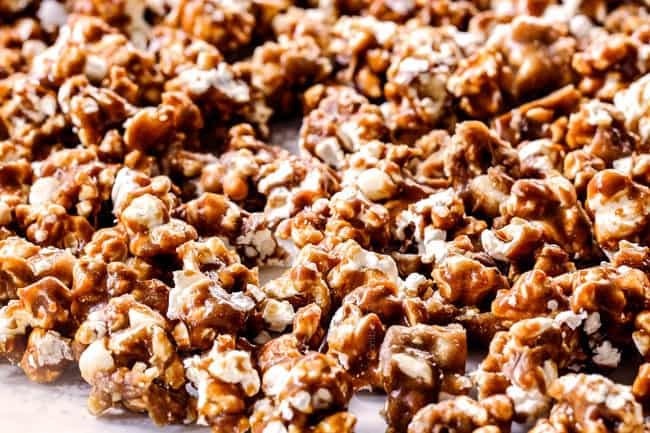 The whole process of making Caramel Popcorn takes a little over an hour and then you have a big batch of the best, freshest, homemade Caramel Popcorn that keeps fabulously well for days for an instant stress-free dessert/snack at your fingertips. What Ingredients do I need for Caramel Corn? Popcorn: The secret for the BEST Caramel Popcorn is to start with Microwave Theater Popcorn. Theater popcorn comes buttered and salted and is already delicious before we even envelop it in caramel. Buttered microwave popcorn enhances the buttery flavor that is essential to the caramel taste. If you want to make your own popcorn, that is totally fine – see section below for making your own popcorn. Brown Sugar: Do not use dark brown sugar or a generic brown sugar. Quality name brand brown sugar is a must otherwise I have found the caramel comes out grainy. Corn Syrup: Corn syrup is a must to allow the caramel to remain silky and to prevent crystallization. Please use light corn syrup. To mix up the flavor profile, you can substitute half of the corn syrup with half pure maple syrup. Butter: You will need ½ cup unsalted butter. Please do NOT use margarine. Margarine is too watery for this recipe and will not deliver the same taste. Vanilla Extract: Your pantry vanilla extract is just prefect. 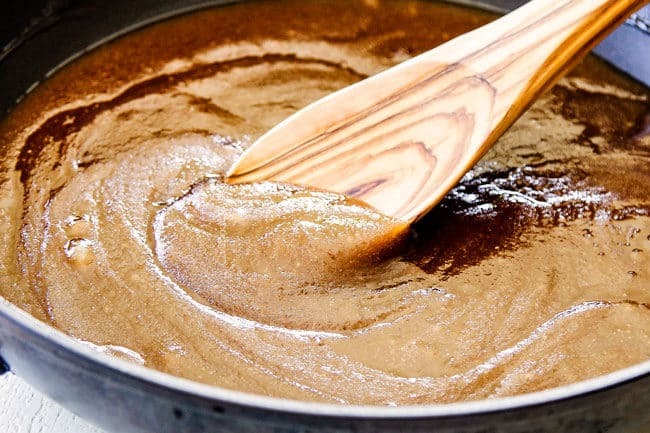 Baking Soda: Make sure you have your baking soda and vanilla extract measured and ready to add to the caramel before you starting making your caramel. What does baking soda do for caramel corn? 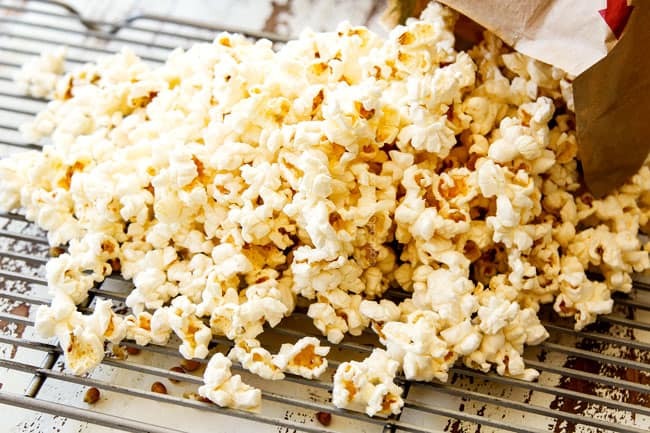 Baking soda might seem like an odd ingredient but it is essential to Caramel Popcorn. 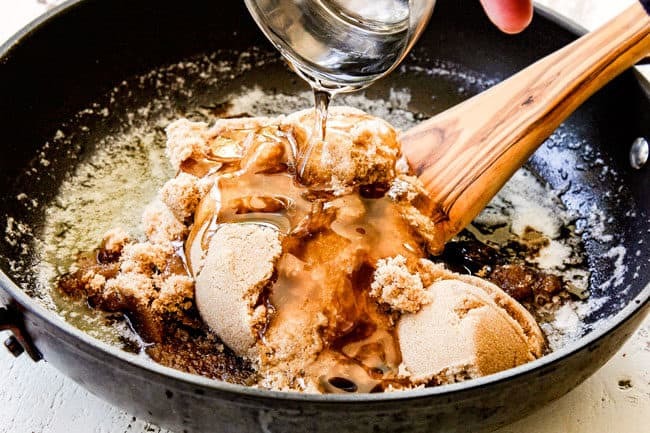 The baking soda reacts with the acid in the brown sugar and corn syrup and creates tiny carbon dioxide air bubbles – you will be able to physically see this chemical reaction as the caramel bubbles violently and turns lighter in color. This chemical reaction aerates the caramel which makes it smoother and therefore easier to coat the popcorn. The air bubbles will also prevent the caramel from becoming jaw breaking hard as it cools. How many Corn Kernels Do I Need for this recipe? If you want to pop your own popcorn I instead of using microwave popcorn, you will need 1/3 cup kernels, which yields about 14 cups of popped corn. Increase salt to 1 teaspoon in the caramel sauce. How Do I Get Rid of Popcorn Kernels? Nothing ruins Caramel Popcorn more than biting into an un-popped kernel. To quickly and easily get rid of kernels, pour your popped popcorn over a cooling rack – the kernels will fall through and your popcorn will stay on the rack – SO much easier than picking out individual kernels. 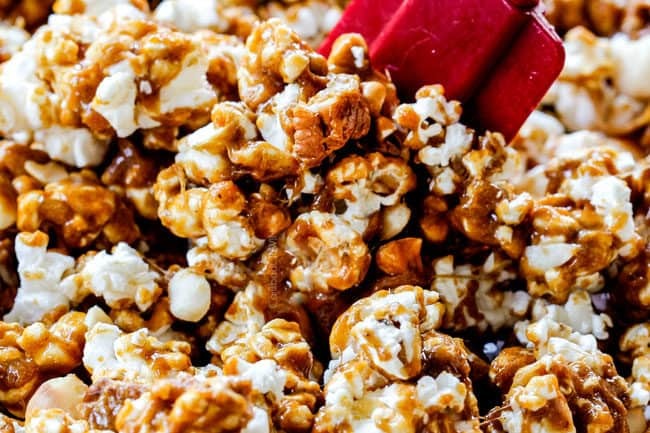 How do you make homemade caramel popcorn? Step 1: Prepare your jelly roll pan by lining with foil and spraying with nonstick spray. Alternatively, you can use a large aluminum turkey roasting pan and spray with nonstick cooking spray. Step 2: Add your popcorn to the pan and place in the oven at 200 degrees F. Warming the popcorn will make it easier for the caramel to spread over the popcorn. Step 3: Melt butter in a large nonstick skillet over medium heat. Step 4: Once melted, stir in brown sugar, corn syrup, and salt, whisk until sugar dissolves. Step 5: Bring to a boil over medium heat, stirring occasionally. 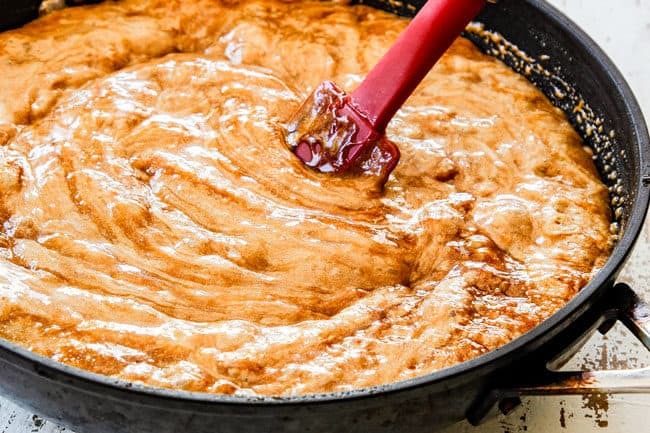 Once the caramel begins to gently boil, boil over medium heat for 2 minutes stirring constantly. The caramel will bubble quite a bit, just start timing when it begins to gently boil. Step 6: Remove from the heat, and stir in the baking soda and vanilla. 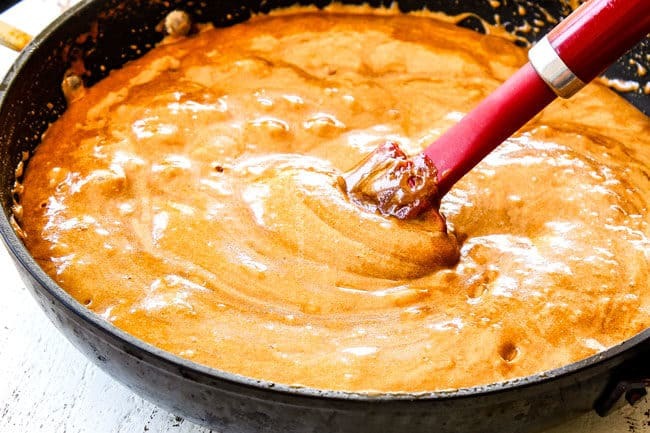 The caramel sauce will bubble a lot and become thick, fluffy and change a lighter color. Stir until the color is uniform. Step 7: Immediately pour caramel over popcorn and sprinkle nuts on top (if using). Have your nuts all ready to go because as soon as you add the caramel you need to work quickly. Step 8: Quickly mix the caramel with the popcorn, working quickly so the caramel doesn’t harden too soon. There will probably be a few white pieces of popcorn remaining which is okay. Step 8: Bake for 30-60 minutes depending on desired chewiness or crispiness, stirring popcorn every 15 minutes to ensure the caramel bakes evenly. Step 9: While the popcorn is baking, line the counter with parchment paper. When the Caramel Popcorn is done, pour onto parchment paper and separate pieces as much as possible before it cools and hardens. 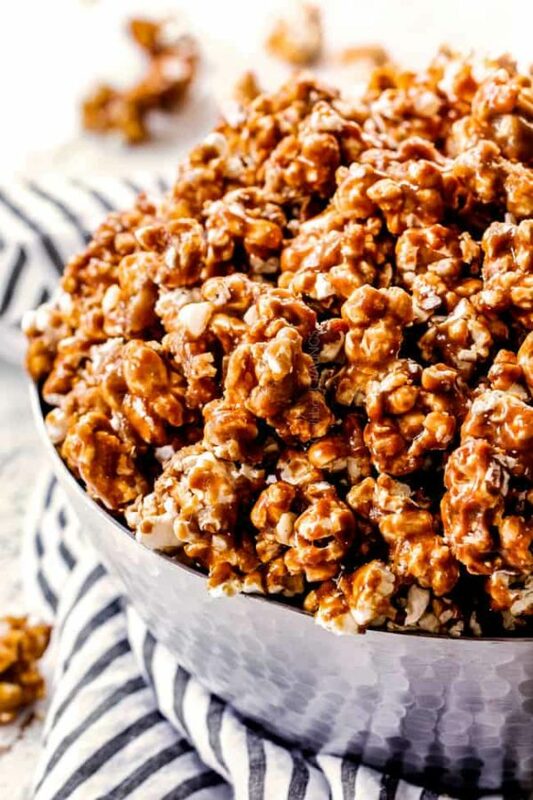 You can make this homemade Caramel Popcorn as chewy or as crispy as you like, but it is meant to be on the crispy, crunchy side. If you spend less time boiling your caramel, the popcorn will be chewier and if you spend more time boiling your caramel, it will be crispier BUT it will also be harder to spread. So I suggest boiling the caramel just for 2 minutes as called for in the recipe then adapting the texture with the baking time. Less baking time = chewier popcorn, longer baking time = crispier popcorn harder. 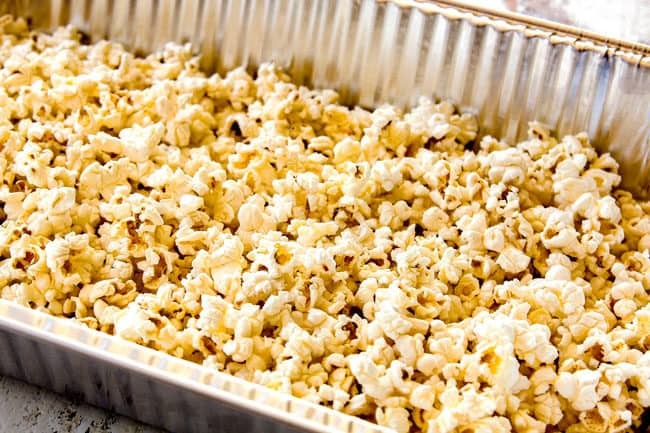 Place popcorn in large roasting pan or jelly roll pan. Bake for 30-60 minutes, stirring every 15 minutes. If you cook for closer to 60 minutes, keep an eye on it towards the end to avoid burning the caramel. Silicon Spatula: Use a silicon spatula to do all your stirring instead of a wooden spoon. Silicon spatulas are naturally non-stick, highly heat-resistant, and clean very easily. 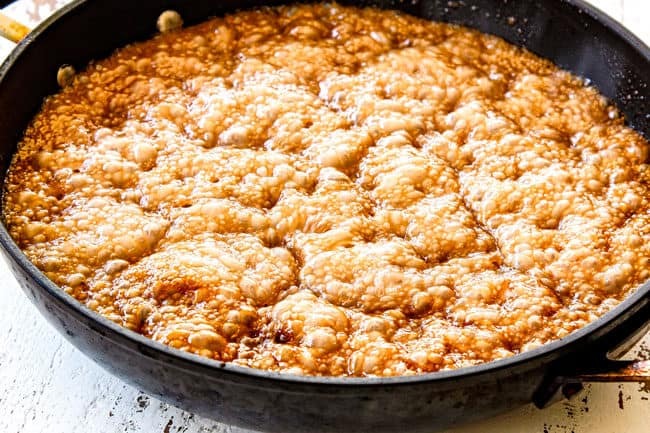 Large Skillet: Take care you use a large skillet instead of a small saucepan to make the caramel because once you add the baking soda, the mixture foams violently and increases significantly in volume. 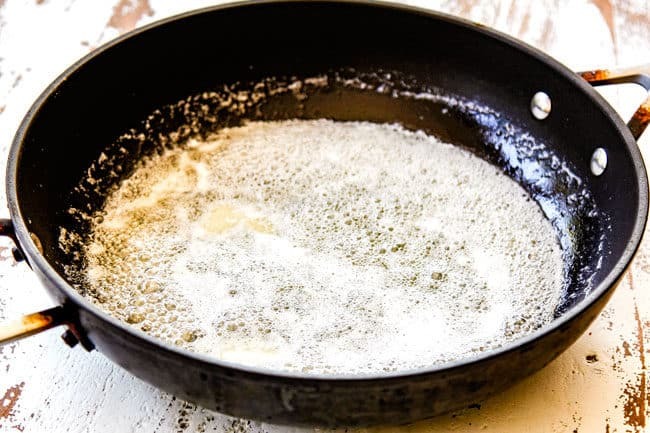 How to Clean Traditional Skillet: If you don’t have a nonstick skillet then add some water to your pan and bring to a simmer. This will soften and loosen any remaining caramel. Large Roasting Pan. For easy cleanup or if you don’t have a roasting pan, use a large turkey roasting pan. You can get this at the Dollar Store and for only a dollar, it’s disposable! 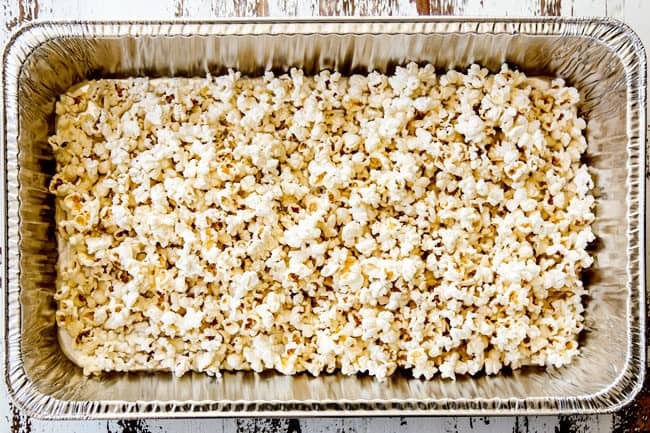 This pan also has high sides which makes it easier to toss the popcorn and caramel together. Cook more or Less: The baking time will vary depending on personal preference. If you like your Caramel Popcorn crispier, cook longer if you like it chewier, cook for less time. Keep Stirring. After the popcorn has come out of the oven and still cooling, stir it 2-3 times. This will help break up the big clumps. Can I Add Chocolate To Caramel Popcorn? Absolutely! 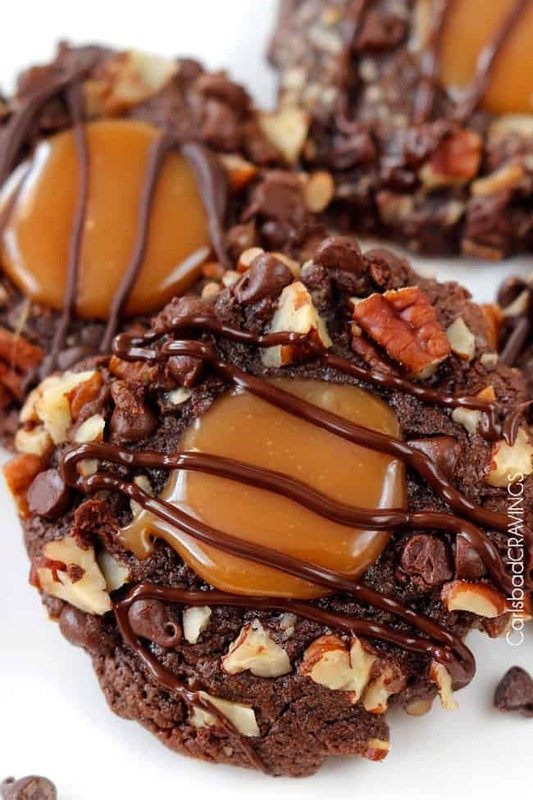 Drizzle melted chocolate over the top once the Caramel Popcorn once it has cooled. 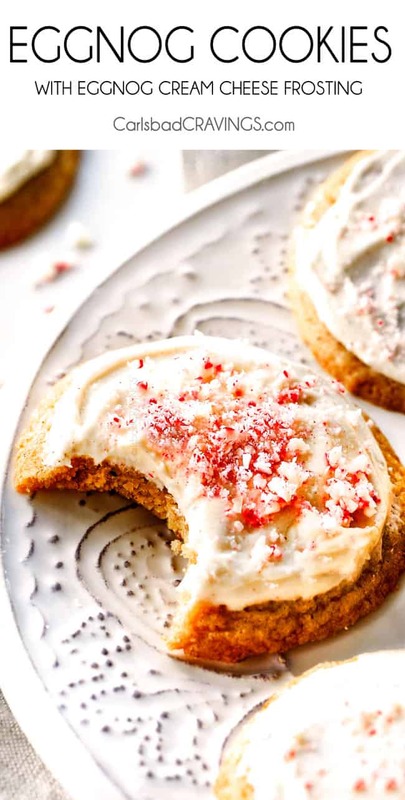 You can also use white chocolate or a combo. Can I add Nuts to Caramel Popcorn? Yes! I HIGHLY suggest adding nuts to your Caramel Popcorn. The crunchy salty nuts mixed with the sweet caramel is mesmerizing. I have tried adding peanuts, macadamia nuts and pecans to my Caramel Popcorn and peanuts are still my favorite but I also think cashews would be fabulous. You will want to add about 1 1/2 cup of nuts. 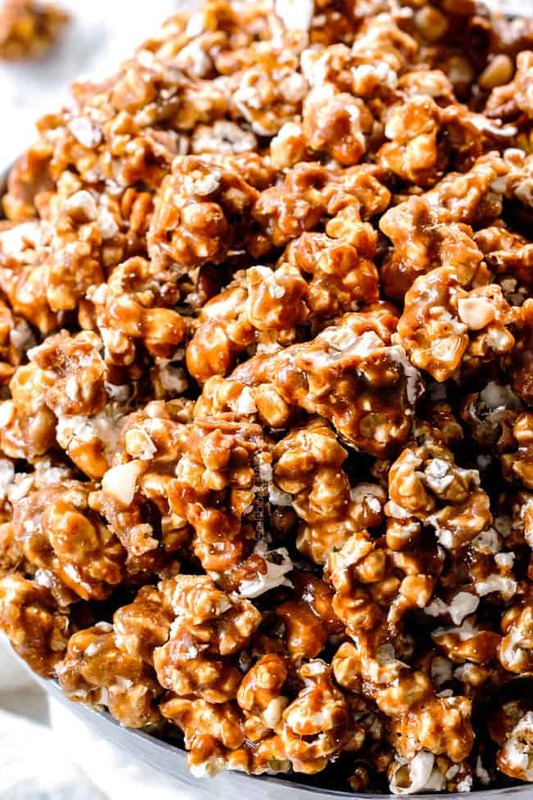 If you use salted nuts, then omit the ¼ teaspoon salt in the Caramel Popcorn recipe. After Caramel Popcorn has cooled, store it in an airtight container. When stored in an air-tight container, homemade Caramel Popcorn will be good for up to five days. 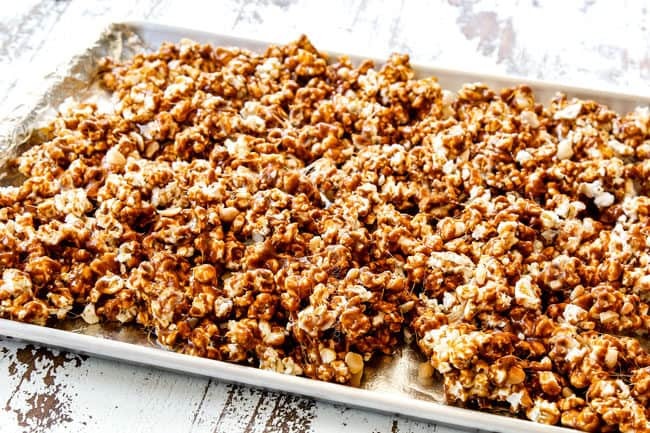 WANT TO TRY THIS CARAMEL CORN RECIPE? 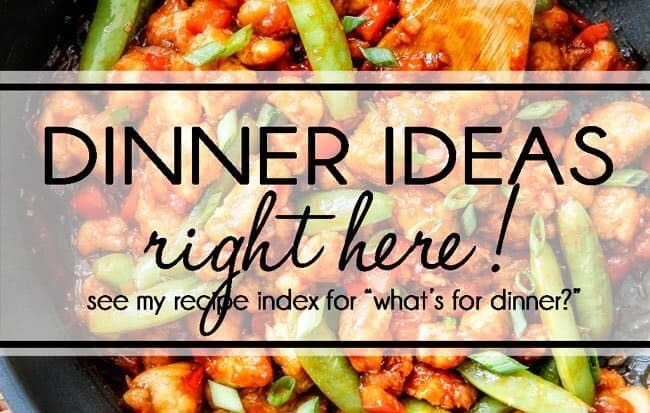 PIN IT TO YOUR SNACK, DESSERT or HOLIDAY BOARD TO SAVE FOR LATER! 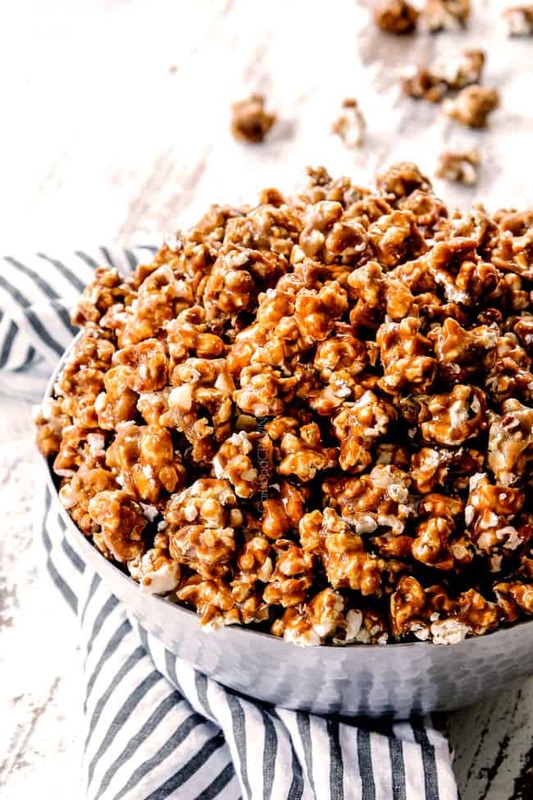 Homemade Caramel Popcorn that is buttery, rich, salty, sweet, crispy and better than any store-bought caramel corn at a fraction of the price! It is shockingly easy, made with a handful of pantry ingredients and doesn’t even require a candy thermometer! It’s crunchy, deeply caramelized, and you have the option of adding nuts or drizzles of chocolate. 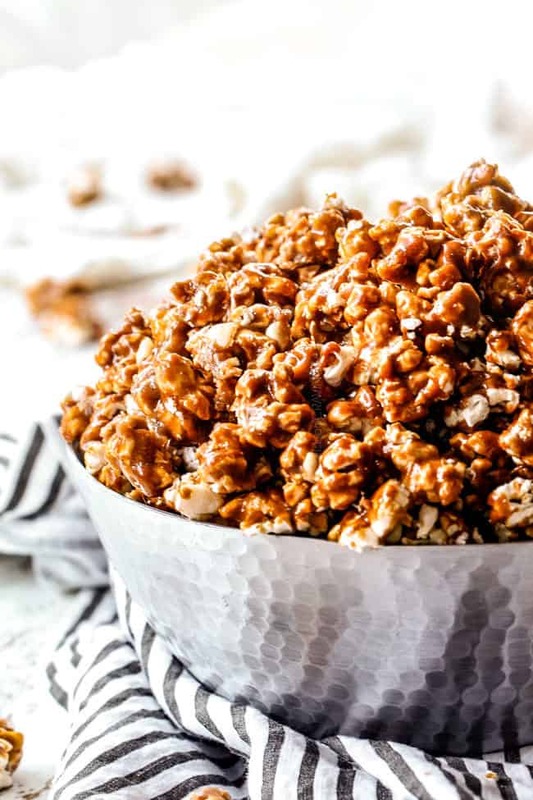 The addictive sweet and salty Caramel Corn makes a ton for movie night, parties or gifts and is fabulous to make ahead or in bulk. Line a large 15 x 21 inches jelly roll pan with foil (or use a large aluminum turkey roasting pan). Spray lightly with nonstick cooking spray. 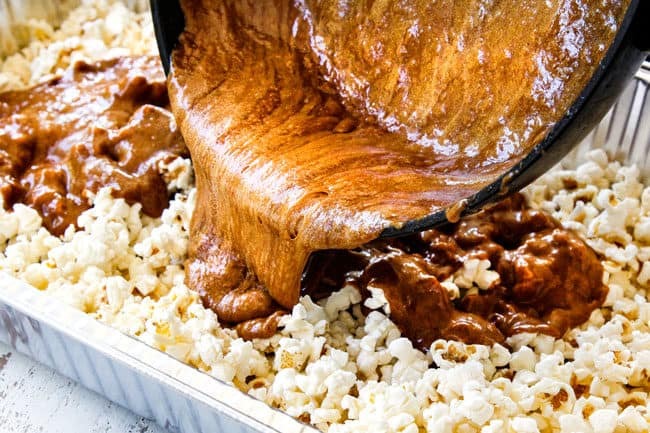 Add popcorn to pan in an even layer and place in the oven to warm (it’s okay if the oven isn’t all the way at 200 yet - caramel spreads much easier over warm popcorn). Melt butter in a large saucepan over medium heat. Once melted, stir in brown sugar, corn syrup, and salt. Whisk until sugar dissolves. Bring to a boil over medium heat, stirring occasionally. Once the caramel begins to gently boil, boil for 2-3 minutes stirring constantly (it will bubble quite a bit, just start timing when it begins to gently boil). Remove from the heat, and stir in the baking soda and vanilla (it will bubble a lot). Stir until the color is uniform. Bake for 45 minutes, stirring the popcorn every 15 minutes. Meanwhile line counter with parchment paper. When popcorn is done pour onto parchment paper and separate pieces before it cools. EASILY Remove Popcorn Kernels: Pour your popped popcorn over a cooling rack – the kernels will fall through and your popcorn will stay on the rack – SO much easier than picking out individual kernels. Yes, I had my alarm set for 3:30 am today because I knew you’d be posting something very early this morning. Caramel Corn? Yes, I think I can handle this. My gosh, I think I even have all the ingredients in the pantry including the corn syrup (I was wondering how I was ever going to use it). And, there’s the other temptations on this page: Pistachio Chocolate Pretzel Bark, German Chocolate Cupcakes with Ganache Filling, and Cheesecake too. Thanks again for all your great pictures and explanations thus making sure we have no-fail results. You made my day Allie, that is amazing you had your alarm set! 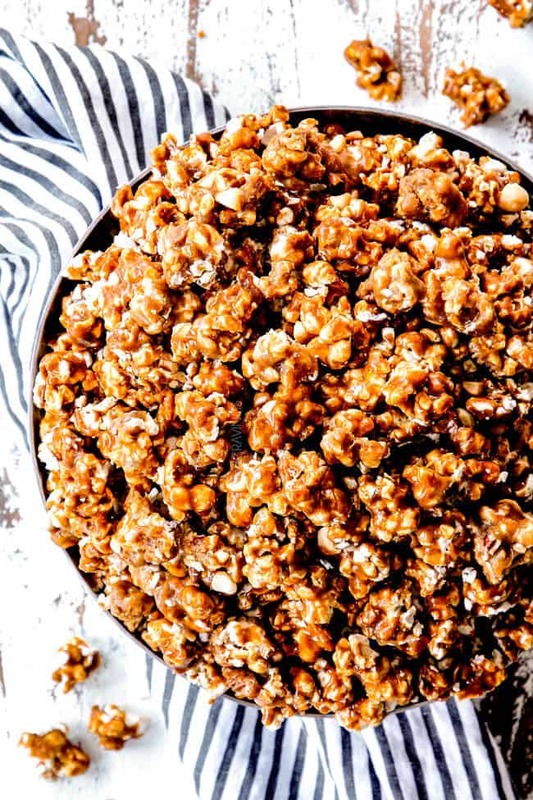 I can assure you that this Caramel Corn is totally worth the early wake up call! I hope you can make it soon and love it as much as us! The other temptations are also amazing – especially the German Chocolate Cupcakes – mmmmm. Happy Baking! LOL! I’m excited for you to try it!